Whether you're looking to have someone else cook the bird this year, just need a little menu help, or want to avoid Thanksgiving food entirely, there are Philadelphia restaurants and catering services ready to feed you on Thanksgiving Day 2018. Reservations are strongly recommended for all these restaurants. You can't get more traditional than the City Tavern, the Old City restaurant that serves up colonial food year-round, complete with servers dressed in period garb. Chef Staib sets aside his a la carte menu for the holiday so he may offer his Thanksgiving feast, a four-course meal served family style, featuring the roasted turkey with all the traditional trimmings. Enjoy your meal as musicians stroll about making your holiday more enjoyable. Details and pricing will be finalized as the date approaches, and they will begin accepting reservations on October 1. If you want to be thankful for exquisite cuisine, consider having your feast at Lacroix at the Rittenhouse, one of the Philadelphia area's best restaurants. Philadelphia Inquirer restaurant critic Craig LeBan awarded it the elusive four bells, the highest rating a Philadelphia restaurant can get. If you're a vegetarian or vegan sick of getting stuck with side dishes, order your Thanksgiving dinner from vegan caterer Miss Rachel's Pantry. Miss Rachel will deliver a fully vegan Thanksgiving meal to your door on Wednesday, November 22, ready to heat and eat, or you can pick it up the same day. The pilgrims came to America on big wooden boats, and this Thanksgiving, you can eat on one. Moshulu, the floating restaurant on Columbus Boulevard, will offer an a la carte Thanksgiving menu. What could be more fun than having a celebratory cocktail around the firepits on the Deck Philly? Moshulu will be open from 12 p.m. to 8 p.m., serving a holiday-inspired three-course prix fixe menu. The meal costs $60 per person and is just $25 for children under 12 years old. The Valley Green Inn, a National Historic Landmark, offers a classic and bountiful Thanksgiving buffet in a beautiful space along Wissahickon Creek. Its colonial ambiance is absolutely perfect for Thanksgiving. The price is set at $39.95 for adults and $15.95 for children ages three through 10. The inn will be serving from 12 p.m. to 6:30 p.m.
Buffet offerings include a carving station with VGI traditional roast turkey breast, herb-roasted prime rib au jus, and smoked country ham with a maple-honey glaze. A selection of traditional sides and salads will be served as well as a selection of pies, cookies, cakes, and mini pastries will top off the meal. Square 1682, inside the Kimpton Hotel Palomar, a block from Rittenhouse Square in City Center Philadelphia, serves up creative American cuisine that will give your Thanksgiving Day one delicious twist. You'll no doubt be treated to seasonings that come straight from Square 1682's own herb garden to celebrate this harvest festival. Davio's, off Rittenhouse Row, is a Northern Italian steakhouse. But they are deviating from that menu for Thanksgiving and will be serving a traditional feast of free-range turkey; creamy potatoes; cranberry-walnut stuffing; roasted butternut squash; and pumpkin, apple, and pecan pie. ​Davio's welcoming setting in a restored bank building will make a beautiful backdrop for a holiday celebration. If casual is more your scene, check out London Grill, where a Thanksgiving buffet will be served, or you can order a platter and sit in the bar if you're not up for a heavy holiday feast. This cozy grill and bar combo on Fairmount Avenue specializes in craft beers, cocktails, and Pennsylvania wines, so you won't be left wanting for a fantastic libation for toasts. Bank & Bourbon is inside the landmark Philadelphia Savings Fund Society building that dates to the Great Depression of the 1930s. 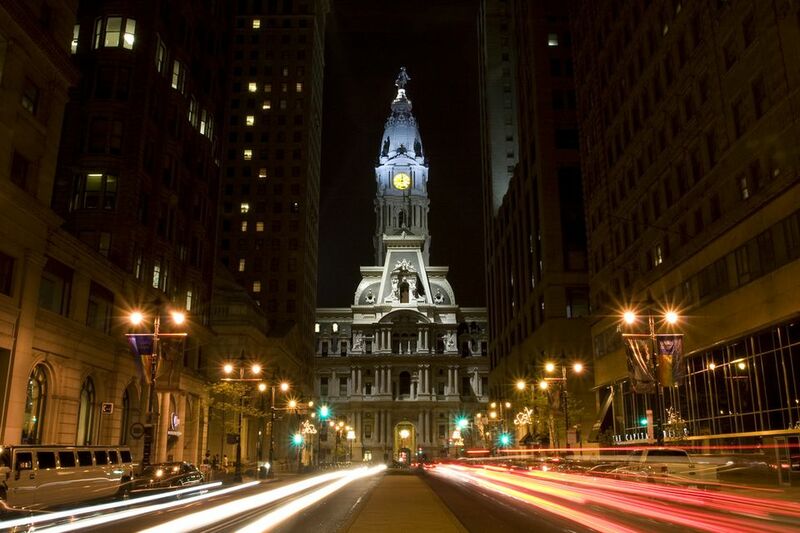 It's now the home of the Loews Philadelphia Hotel. Just as its name suggests, it is big on bourbon and craft cocktails. Bank & Bourbon is serving a three-course prix-fixe feast for Thanksgiving. If you are not a turkey lover, you can have salmon, trout, or filet mignon instead.